"Expressing sincerest condolence to Lois Elaine, Ed's family..."
"Kathleen just wanted to say I am sorry for the loss of your..."
"Such a beautiful tribute for a truly beautiful man. He..."
"Ed will be missed by all that knew him. He was a great..."
"I always enjoyed having Mr. Zoll as a guest at the Quay..."
Edwin C. Zoll of Vancouver, Washington was born June 30, 1924 and passed away August 25, 2015 from congestive heart failure, chronic obstructive pulmonary disease (COPD) and many serious complications. Ed had been ill for many years; however, on April 15, 2015 his health took a turn for the worse with five long term stays at Legacy Salmon Creek Medical Center and Skilled Nursing & Rehabilitative Care Center. On August 7th Ed was transferred to Vancouver Home Care and Comfort Care located in Salmon Creek Washington where he passed away. Edwin was born in Tell City, Indiana to Edwin Theopolis Zoll and Sarah Chrystal (Pyle) Zoll. Ed grew up in Tell City, graduating from Tell City High School. Upon graduating he joined the U.S. Army on March 31, 1943. He proudly served his country until December 14, 1946 as a Master Sergeant / First Sergeant. He continued to serve his country as a Master Sergeant / First Sergeant in the Indiana Army National Guard from May 9, 1955 to May 21, 1962. Edwin married Anna June Zoll on August 17, 1946 and together they raised five children. Following his discharge from the National Guard they moved to Klamath, California, but returned back to his home town of Tell City, Indiana. In 1962 Edwin and Anna moved to Vancouver, Washington where he worked for C.E. John Company as a Property Manager for more than 23 years while attending Clark College. Being raised on a farm in the Midwest gave Ed the foundation and taught him the true meaning of 'work ethic'. In 1996 Ed lost his wife, Anna June Zoll. Ed was a member of numerous organizations. 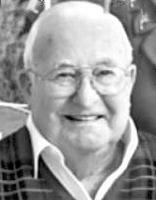 He had a lifetime membership with the VFW and Disabled Veterans; he belonged to the American Legion, the Knights of Columbus and Our Lady of Lourdes Catholic Church. On March 14, 1997 Edwin remarried. He married Lois Elaine Smith of Vancouver, Washington. They were married at St. Michael the Archangel Church located in Kailua-Kona, Hawaii. Through Lois Elaine Ed became involved as a volunteer for the Miss Washington Scholarship Organization. All contestants loved Ed and he soon earned the nickname of "Uncle Ed". This nickname was given to him from one of the contestants they had taken under their wings. Ed and Lois Elaine loved giving back to the community and each year during the holidays they made 550 pounds of fudge. Ed and Lois Elaine enjoyed 18 years at their winter home in Mesa, Arizona and when they weren't enjoying the sun in Mesa you could find them sitting on the back deck of their beautiful Lake View Estates home overlooking the Vancouver Lake, the Columbia River and the Port of Vancouver. Ed loved a good conversation, watching the ships come in and out of the port and hitting golf balls off the deck with his two dear friends. In Ed's spare time, he enjoyed fishing, camping, hiking, golf and traveling. Edwin C. Zoll is survived by his wife, Lois Elaine; his son Edwin James Zoll, San Antonio, TX; his daughter Kathleen L (Dennis) Godsil, Vancouver, WA; three step-daughters Nancy (Ed) Eckert, Jasper, Indiana, Marilyn Kincaid, Vancouver, WA and Judith Quick, Vancouver, WA; three sisters Caroline Ballman, Tell City, IN; Sylvia Harpenaw, Sellersburg, IN and Martha Buechlein, Jasper, IN; three brothers the late Pete Zoll, Cannelton, IN; James Zoll, Lexington, KY and Earl Zoll, Sarasota, FL; 21 grandchildren, 33 great grandchildren and 12 great-great grandchildren. Ed also had 46 nieces and nephews across the United States of America. Funeral Mass for Edwin will be held at 11:00 AM, Wednesday, September 2nd at Our Lady of Lourdes Catholic Church located at 4723 North West Franklin Street; Vancouver, Washington. A recital of the Rosary will precede the Mass at 10:00 AM. The family invites you to join them for a luncheon immediately following the services at the church. There will be a private full military service for family only at Willamette National Cemetery located in Portland, Oregon. Lois Elaine and the family would like to add special thank you's to: Oscar Zepeda, MD; Doctor Susan S. Rose; Sandford Plant, MD; Gary A. Smith, MD of Mesa, AS; Ed's special caregivers; dear friends and neighbors; Jay Morin, Referral Manager of Pacific Specialty & Rehabilitative Center; Elizabeth Firstenburg, Physical Therapist; Mark Matthias; Peter George; Cindy Donowitz; Jennifer RN; Janice RN; Jacquelyn Sue and Phillip from Atlanta, GA; and Rev. Gwendolyn J. Morgan the Spiritual Care Director for Legacy Salmon Creek Medical Center. 1111 Main Street - Suite 605, Vancouver, WA 98660. PO Box 5245, Vancouver, WA 98668. 9480 North DeMazenod Drive, Belleville, IL 62223-1160.